The band was started by Kiyosaku Uezu, the main vocalist of MONGOL800 and The BK Sound of the back selector of “Shonan no Kaze”. ON May 30th, 1012, released their first major album “Island”. 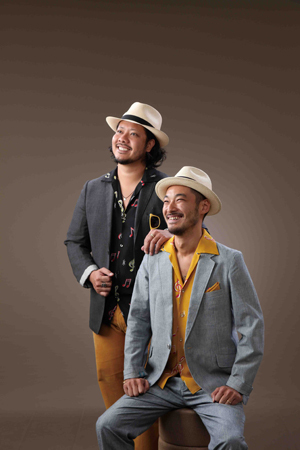 The album features s variety of songs ranging from, authentic Jamaican Reggae, Okinawan folk songs, covers of pop songs from the “Showa” era, and “Showa Retro” Reggae, and it thrives to reinvigorate Japan. The most successful female singer from Jamaica, Marcia Griffiths, who has done chorus works for Bob Marley, also appears on the album.